There has been a fair amount of organising this summer; deciding which plants weren't working, duplicates and struggling plants. 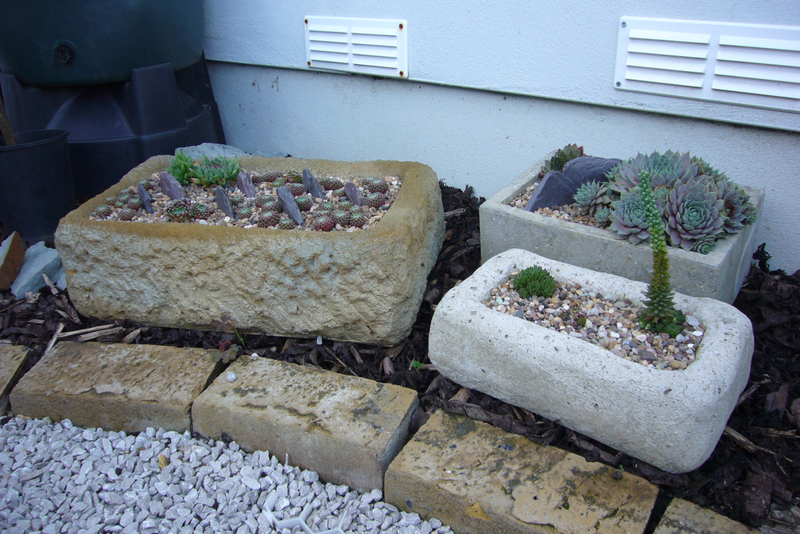 Add this to the fact that many plants went into the succulent rockery and it's looking quite pot light around here. So much so, for the first time ever I actually have an empty pot pile. 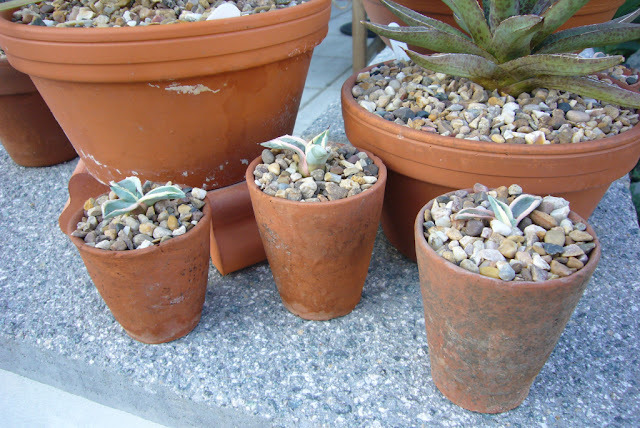 Recently there was a post on the Plant Lust blog (you can find it here) counting their pots and talking about what was a reasonable amount. I commented that when we moved my niece counted the pots into the cars, or she started to and got bored at 400. You can see the post on the house move here. 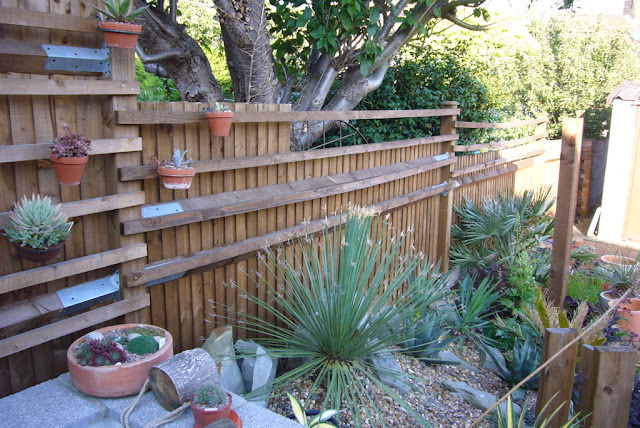 So I promised a recount, and at the same time took some photos of them around the garden. Starting with the vertical planting. 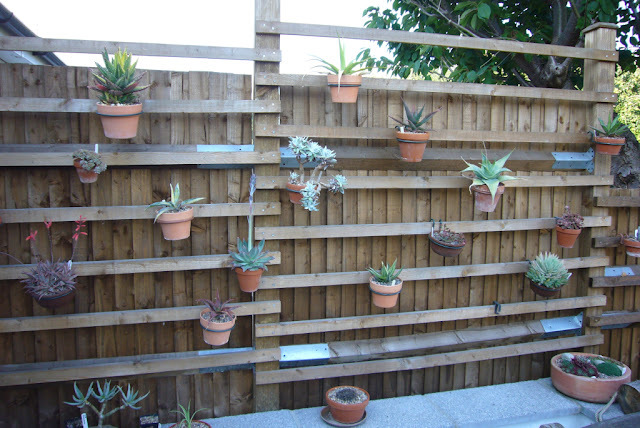 It looks a bit sparse at the moment, I had more on there but every time I watered they dripped onto each other which was not good, so this arrangement means I can water them without worrying. There is more space to expand into. 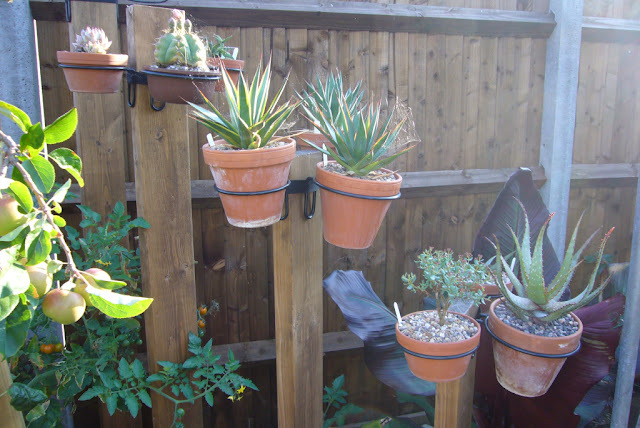 Some of the posts still have their holders as well, as the plants go into to create more shade here they will be moved. 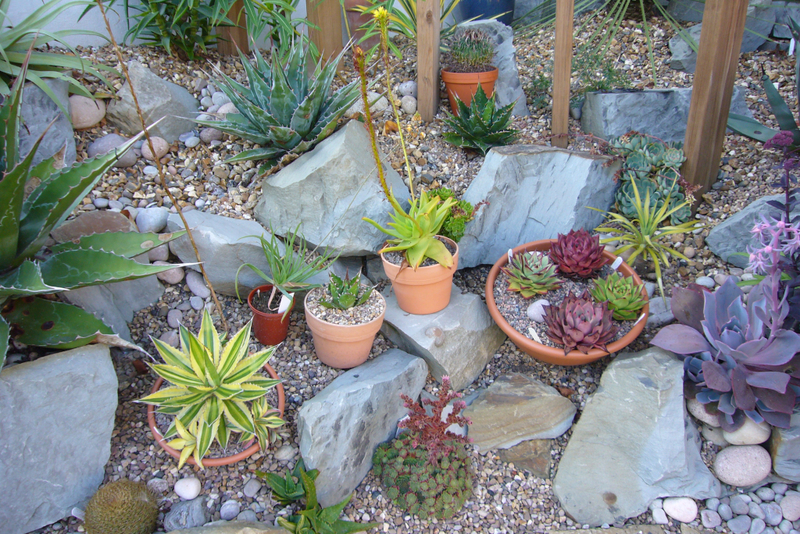 There are a few pots scattered around the rockery itself. These are usually where plants have flowered and died, or bulbs that are now dormant. There are a few on the patio, and wall. I have become more restrained here. To start with the wall was totally covered, now it's a few discrete groups. 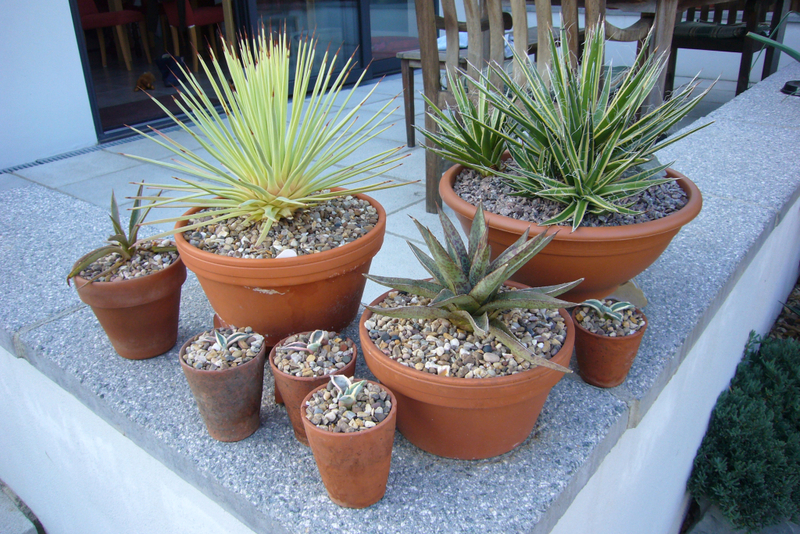 The agave stricta nana is one of my current favourite plants, the colour is amazing in the sun. 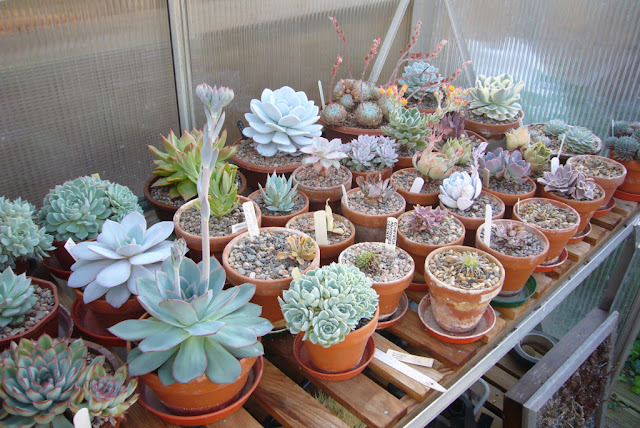 Succulent fans are at a disadvantage as no matter how hard we try it seems impossible to resist propagating more plants. The little pots are all agave cream spike. There are an increasing number of troughs and planters appearing in the garden, these alpine ones are a bit out of the way to give them some shade during the hotter weather. Looking at these photos, shows how much the garden is still in planting and sorting stage. Most of these groups are in temporary positions, hopefully for the last year. I haven't been bothering with good groups or nice pots. That will change next year as the garden is now starting to look like a garden and not just a collection of pots. 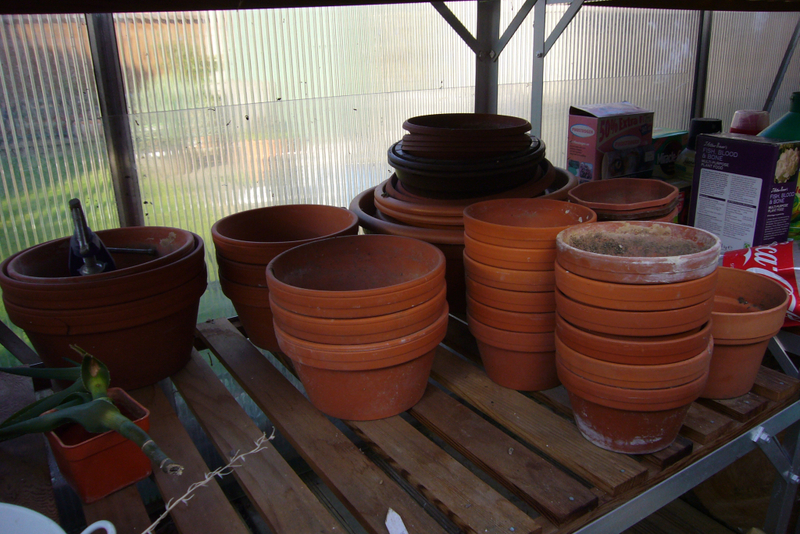 So far it is not looking very good for my pot count, time to up the numbers. There are two of these pot holding areas in the garden, these are considerable smaller now so many plants have gone into the rockeries. The numbers are starting to look more respectable now. The green house helps considerably. Now we are into much more respectable numbers. It does help that almost all my plants are small, so a lot can fit into a small space. 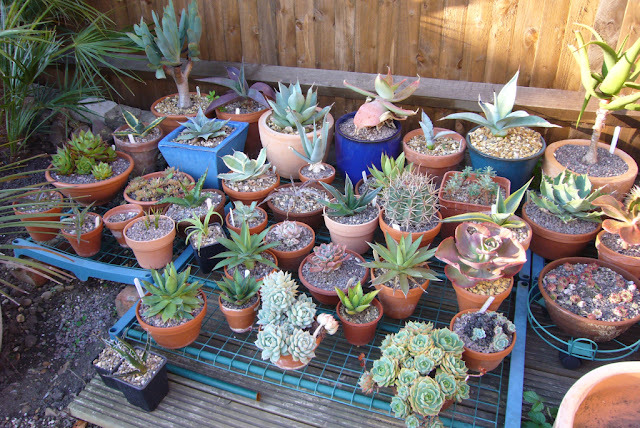 Which also partly explains the lack of good groupings and the more colourful pots you see else where. 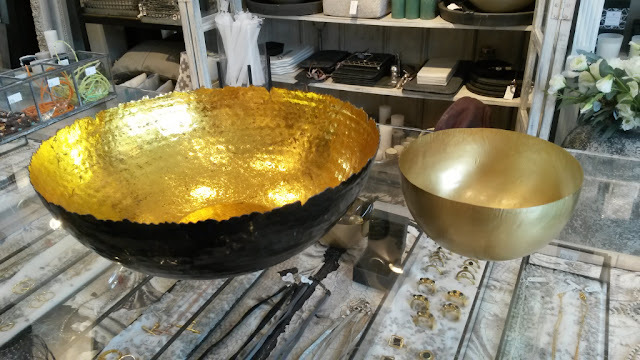 I was tempted by these, could be fun watching how the metal ages. I have been looking for a pot for my variegated agave filifera group. 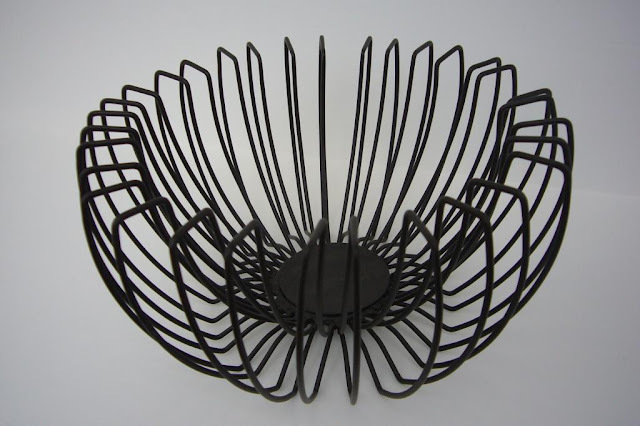 This fruit bowl was purchased last year with the idea of filling the frame with moss and planting into that. The sad thing is I need to propagate more echeverias to fill it, which in turn is going to require more pots! So what was the final count? 280, and another 60 plastic that are either in the prop area, or ready to be given away. Still respectable, but a lot less than at it's peak. I can see this becoming an annual event and a new meme over at Plant Lust. Wow...congrats! I really enjoyed seeing an overall "review" of your collection. You've got so many beautiful plants. An annual event...I like that idea! Thank you. coming from you that is a real compliment. Once a few get a big bigger then they can go in nicer pots and I can start displaying them, hopefully producing displays as good as yours. And you should definitely make it an annual event. I have a question about watering. How do you efficiently water all of them and remembering who likes how much water? And how much time you spend doing just that (watering)? I have a small 100 pot collection and I struggle. 2 weekend hours zip by quickly. 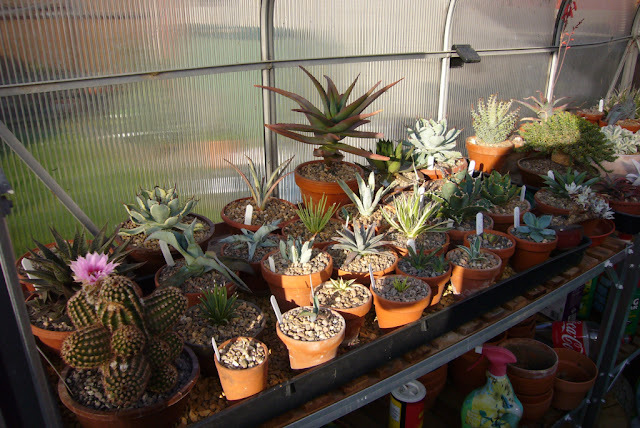 The main thing, I take care of is to ensure I do not get water in the crown of those in the green house. Those outside look after themselves, so I only water the green house. It takes about an hour doing it carefully. I tend to underwater that way you know you are not going to do any real harm.